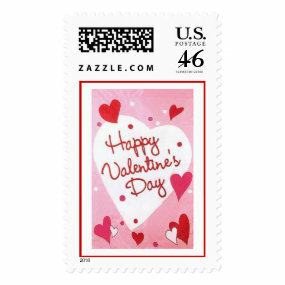 I hope sending Valentine's Day cards never goes out of fashion, these Valentine's Day postage stamps are a really fun idea. 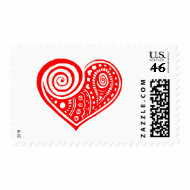 Now I'm not suggesting that you need to send hoards of Valentine's Day cards although when I was in college one of my friends did just that. 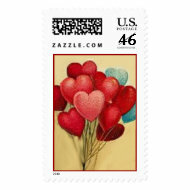 He thought about it a lot and decided that he could afford to get a few cards and it would be worth it if it cheered up just one person.......he sent 10 that he told me of and I know one of the ten in particular was over the moon, although she never found out who it was from! 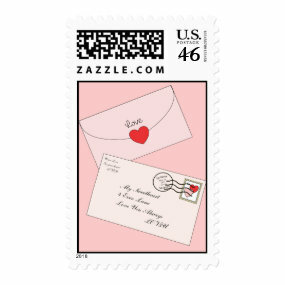 These Valentine's Day postage stamps are a great idea to use on invitations to a Valentine's Day party, engagement or wedding so if you're planning one of these then choose from the great selection of postage stamps below! 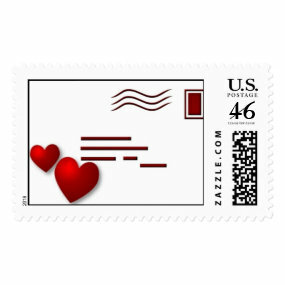 The idea behind Valentine's Day was always to leave a question mark inside the card and let the reciever try and guess who their secret admirer was. 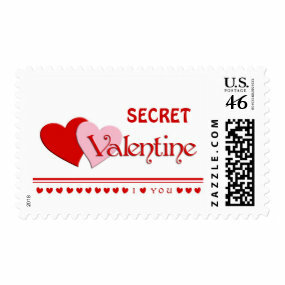 This idea can backfire if the secret admirer doesn't come forward however, over 25 years ago I received a beautiful Valentine's Day card, but who sent it I have no idea to this day! 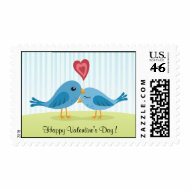 Waiting for the postman to come as a teen on Valentine's Day is a painful experience that I remember well - your life seems to hinge on whether or not you received any cards.........oh the angst of teen love is never forgotten. 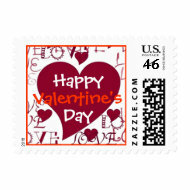 Sealed with a loving kiss. 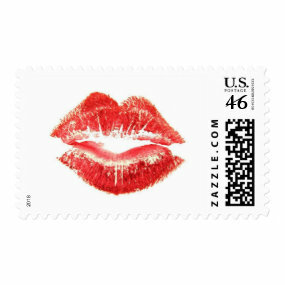 Did you ever seal a Valentine's Day card with a lipsticked kiss on the back? 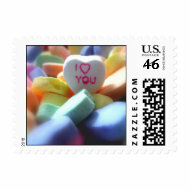 If you don't feel like doing that this year then what about using this Valentine's Day postage stamp instead? 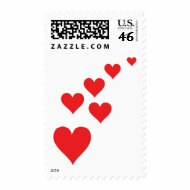 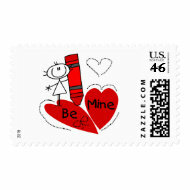 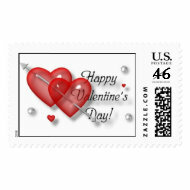 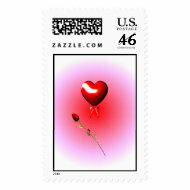 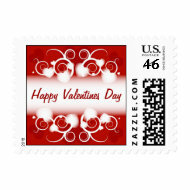 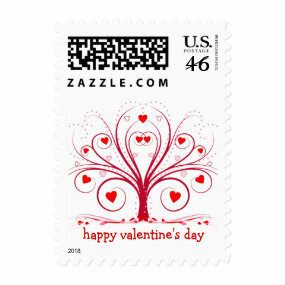 Roses are definitely the flower of love so using rose postal stamps on Valentine's Day is another option. 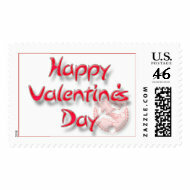 There are lots of beautiful rose stamps available which you can see right here - Rose Postage Stamps.